Ukraine opposition rejects PM role Jump to media player The Ukrainian opposition have said they will reject President Yanukovych's offer of the roles of prime minister and deputy prime minister for humanitarian issues. 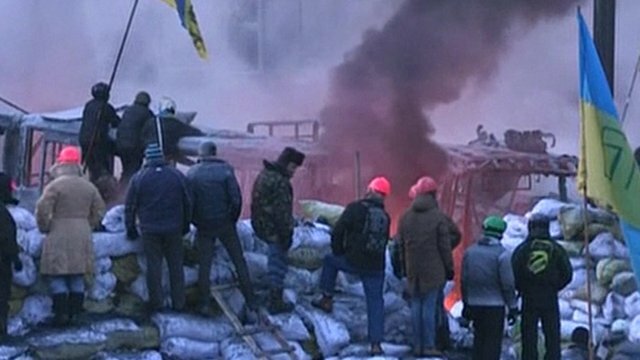 'Chaotic scenes' at Kiev barricade Jump to media player As the Ukrainian government and opposition meet for further talks, Steve Rosenberg reports from behind the main barricade, where protesters and police continue their stand-off. 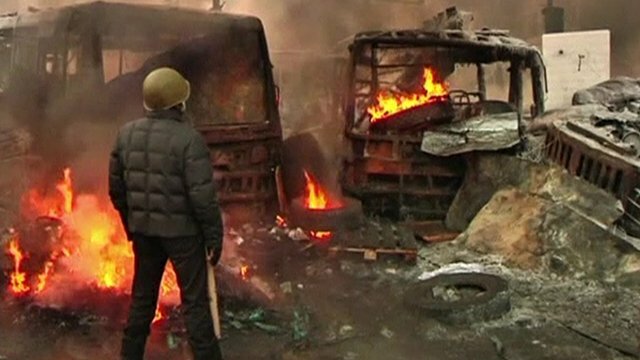 Ukraine PM: 'We'll use all measures' Jump to media player Violence continues in the Ukrainian capital Kiev, after President Viktor Yanukovych promises to make concessions to try to end the country's crisis. 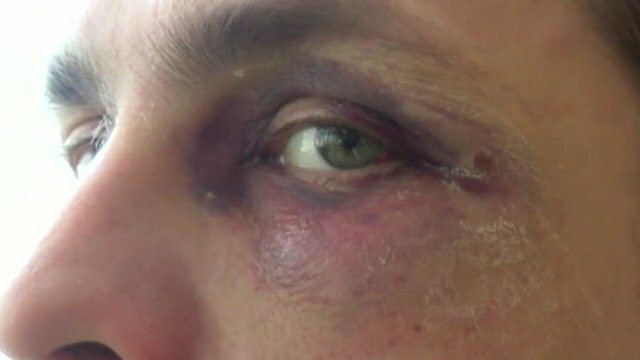 'I was abducted and beaten' Jump to media player Gabriel Gatehouse reports on stories of horrific brutality and intimidation, a violence which some say the Ukrainian state is behind. The authorities deny responsibility. 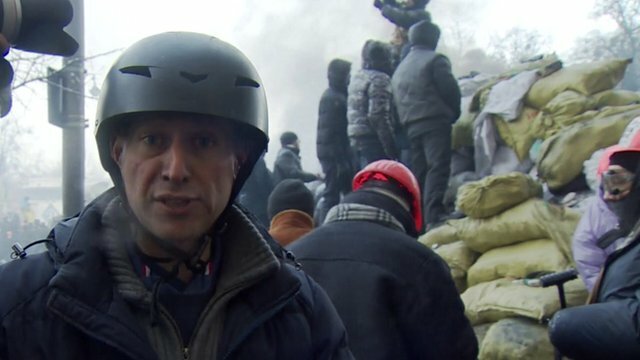 Difficult to see way out Jump to media player There is no government control in Kiev's Independence Square, the BBC's Duncan Crawford says, as the interior ministry says peaceful mediation is "futile". 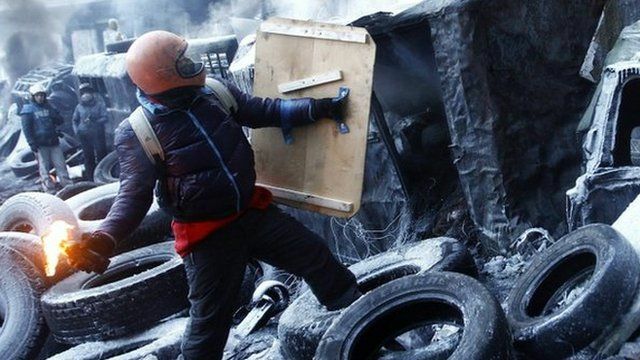 Ukraine crisis explained Jump to media player Ukraine's violent political deadlock explained - in 60 seconds. President Viktor Yanukovych of Ukraine has offered top government jobs to the opposition in an attempt to resolve the country's crisis. Opposition leader Vitali Klitschko has told a crowd of anti-government protesters in Kiev that he will reject the position, and that the opposition stands by its demand for a presidential election to be held this year. 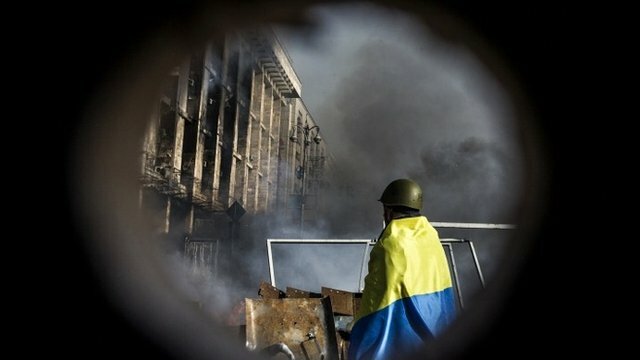 Steve Rosenberg reports from Kiev.